In a study of more than 1,100 male firefighters followed for 10 years, researchers found that the risk of atherosclerosis and of cardiovascular events, such as stroke and heart attack, was 96 percent lower among men who could do 40 or more push-ups during timed tests compared to the men who could do fewer than 10. The findings could lead to an easy test for heart disease risk, said the study’s lead author Dr. Justin Yang, a researcher at Harvard’s T. H. Chan School of Public Health in Boston. To look at possible predictors of heart disease, Yang and his colleagues turned to data on 1,104 Indiana firefighters who had health exams between February 2, 2000 and November 12, 2007. Along with push-up capacity, a host of other measurements were recorded at the same time, including age, VO2 max (the maximum rate of oxygen consumed during intense exercise), height, weight, resting heart rate, blood pressure levels, cholesterol levels, blood sugar levels and smoking status. During the study period, there were 37 cardiovascular disease-related outcomes among the men, according to the report in JAMA Network Open. 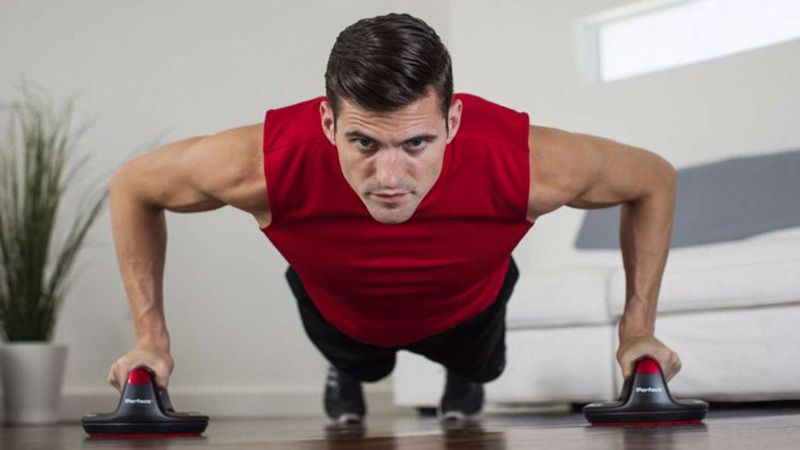 While other factors, such as age, BMI and VO2 were also predictive of the risk for cardiovascular disease events, push-ups were the strongest indicator, Yang said. One strength of the new study is that it relies on a measure of strength rather than on self-reports of physical activity, said Kerry Stewart, a professor of medicine and director of clinical and research exercise physiology at the Johns Hopkins School of Medicine in Baltimore, Maryland. And fitness, Stewart said, is correlated with a number of factors, including blood pressure, cholesterol levels and abdominal fat. The findings underscore the importance of guidelines that emphasize both resistance training and aerobic exercise, Stewart noted.